How many times have patients disregarded caregiver instructions and refused to request assistance when attempting to leave their hospital beds? How many times have caregivers and the family members of patients struggled with this refusal? 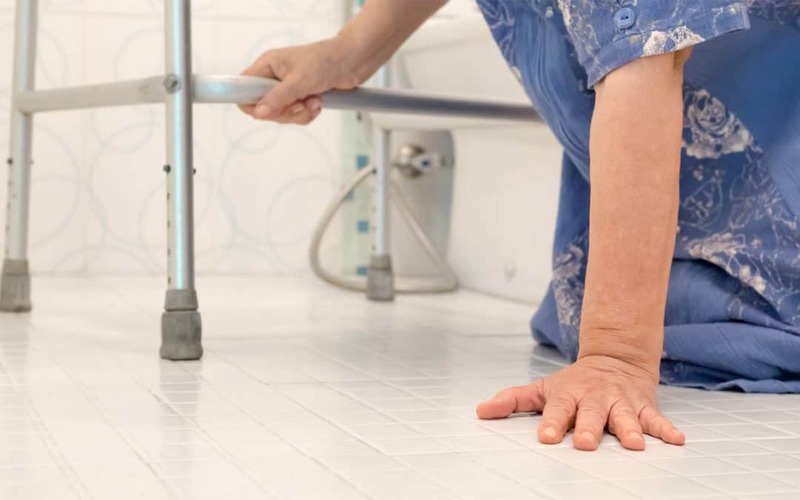 Even those patients presumed too frail, too debilitated to move, have been known to wriggle down to the end of their beds, past protective side rails, only to be found sometimes hours later on the floor next to their beds. The emotional need to maintain independence and control plays a central role in how patients make decisions in obtaining medical care and in following instructions related to this care. Who doesn’t know someone who was saved from death because their wife insisted they go to the hospital after complaining for days of intermittent chest pain and not wanting to seek care? Or the young person who died of pneumonia because she or he simply thought they had a bad cold. The most infamous example is Steve Jobs, who decided to use his own natural remedy to treat his pancreatic cancer. By the time Jobs was willing to relinquish control to a health care provider, it was too late. Even after accepting care and being admitted to a hospital or a skilled nursing facility, a patient’s desire to maintain control and independence is pervasive and in many cases leads to poor decision-making. Patient falls frequently emerge from that patient’s underlying emotional need to maintain an illusion of health and independence. To maintain this illusion, patients often make ill-advised attempts to leave bed and walk without the necessary assistance of caregivers. Curbell’s Fall Management devices, connected to the nurse call system, provides medical staff with immediate awareness of critical patient needs “a layer of protection that can be lifesaving. As medical staff nation-wide confront the ongoing burden of an ever-increasing patient population, Curbell’s system of communications tools allow caregivers to focus on other critical aspects of patient care. Once patients have allowed themselves to be admitted to a medical care facility, they enter with the expectation that they will be healed. If a full recovery is not possible, patients expect to be made as comfortable as possible. And they certainly expect to be protected from further harm. A fall incident is exactly the type of event that will destroy patient and family trust in the medical providers and the institution. Falls are simply not supposed to happen. Nevertheless, although hospitals and staff dread the occurrence of falls, they happen in every institution. Knowing that everything that could possibly be done to prevent and monitor falls is where Curbell monitoring devices provide critical protection. Having innovative fall management solutions, combined with a call system that instantaneously and reliably informs staff of patient needs “is crucial in providing the level of care that will be reflected in patient outcomes and scores on HCAHPS. The average cost for a fall with injury is about $14,000 and 30-50% of falls result in injury. CMS reduced Medicare payments by 1% to more than 700 hospitals in fiscal year 2015 as part of a federal penalty program designed to reduce hospital-acquired medical conditions and improve patient safety. This serves as even more of an incentive for medical facilities to invest in Curbell Fall Management solutions. Enabling medical staff to maintain a constant watch over patient behavior and safety, Curbell Fall Management Systems reassure patients and families that every possible precaution has been taken to achieve patient recovery and independence, both upon release and beyond.